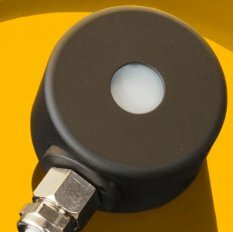 The sensor UV-Surface is a cosine corrected sensor to be used for industrial or scientific UV radiation measurements of radiation arriving at a surface, horizontal or vertical or any other orientation. On request it is also available in a submersible version. Available calibrated (NIST or PTB traceable) on request.